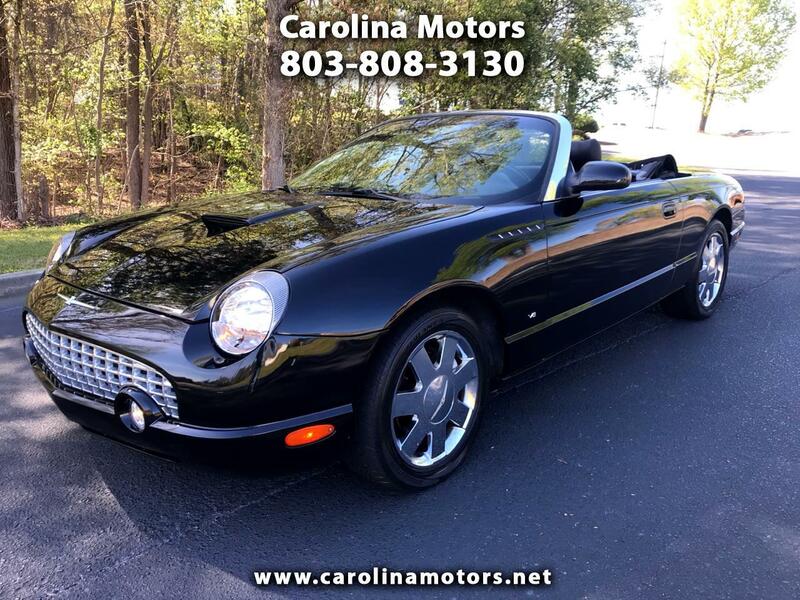 2003 Ford Thunderbird, Power convertible top, chrome wheels, 4 NEW tires, fog lights, power windows, power locks, cruise control, power tilt and telescopic, 6 disc CD changer, heated leather seats, automatic transmission , and more! See free Carfax for more information at www.carolinamotors.net ! Note : vehicle has a consumer buyback title brand, miles exempt, please call dealer for more information .